Duster anyone??? Photo taken out of the taxi window…..a very common sight. 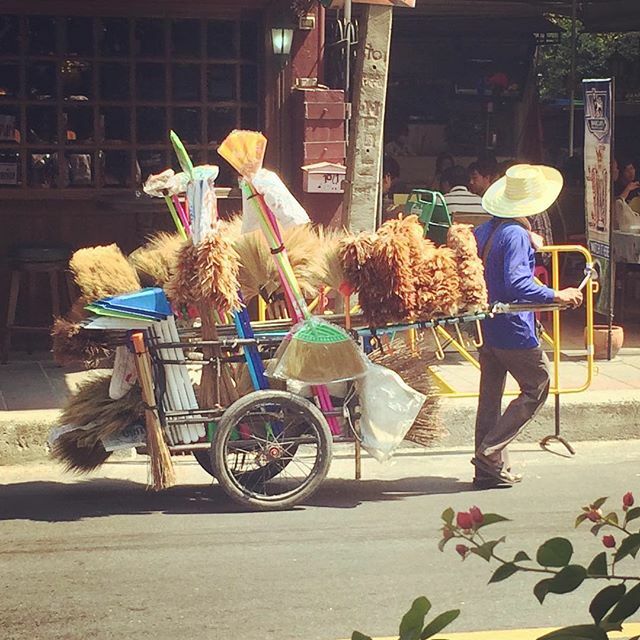 A worker pulling their goods to sell. Previous Previous post: Another pic of everyday Thailand. This lady works on the street everyday. It is not unusual to see her customers changing clothes on the street so she can pin the alterations. Next Next post: Last pic for tonight. Bangkok footpaths are interesting. This is one of MANY holes in our Soi.